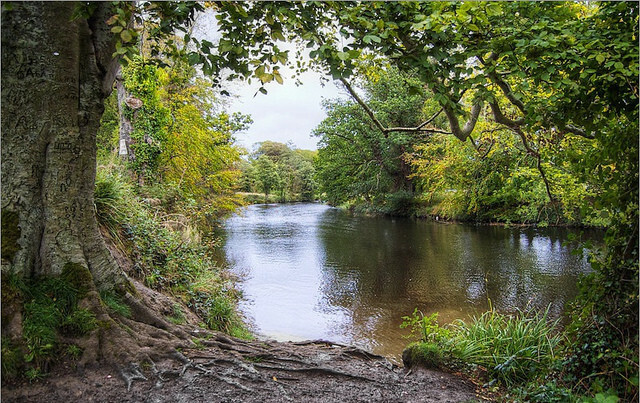 The Liffey rises in the Liffey Head Bog near Kippure in the Wicklow Mountains, and flows for around 125 km (78 mi) through counties Wicklow, Kildare and Dublin before entering the Irish Sea at its mouth at the mid-point of Dublin Bay. The rivers name, An Life in Irish referred originally to the name of the plain through which the river ran. It was also known as the Anna Livia, possibly from an Anglicisation of ‘Abhainn na Life’. The river passes through County Wicklow to County Kildare at Poulaphouca and leaves Kildare for County Dublin at Leixlip. Most of its length is in Kildare. Its major tributaries include the Rivers Dodder, Poddle and Camac. The Liffey does not feature natural lakes, and has few islands. Significant falls at Poulaphouca and at Golden Falls were flooded by reservoir construction. 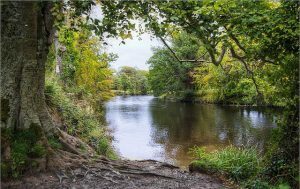 The river supplies much of Dublin’s water and there are dams for three ESB hydroelectric power stations along the river, at Poulaphouca, Golden Falls and Leixlip. Major reservoir facilities also exist at Poulaphouca. Around 60% of the Liffey’s flow is abstracted for drinking water, and to supply industry. Much of this makes its way back into the river after purification in wastewater treatment plants. The easiest way to enjoy the Liffey is simply to take a stroll along its banks. It is surprising how quickly you escape the city into the hidden gem of the Liffey valley, where there is an unexpected diversity of flora and fauna, even between Lucan and Dublin. Water lilies, Iris and bulrush are common in the shade of willow and alder, as are the electric flashes of damselflies and even kingfishers. Upstream from Dublin city, at Chapelizod, the river is used by number of rowing clubs. Further up at the Strawberry Beds the Irish Canoe Union has its training centre and the stretch of the Liffey between Lucan and the Strawberry Beds is wonderful resource extensively used by a number of kayak clubs throughout the year.The Liffey Descent canoeing event, held each year since 1960, covers a 27 km (17 mi) course from Straffan to Islandbridge. 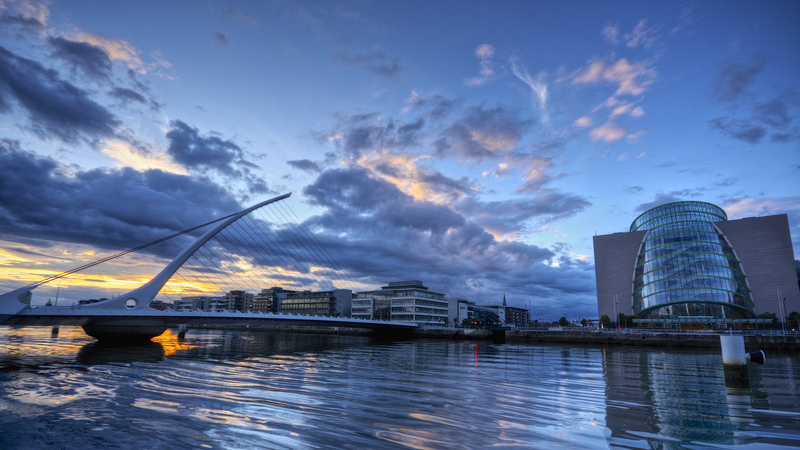 The Liffey Swim takes place every year in late August or early September between Watling Bridge and The Custom House. For a guide to angling on the Liffey, along with a map of Liffey fishing in the Dublin area click here.